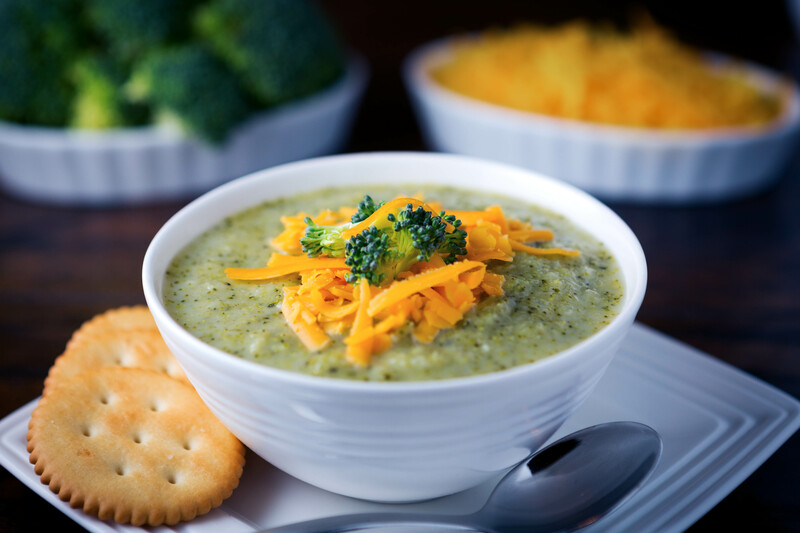 A warm, comforting bowl of this Low-Fat Cream of Broccoli Soup will leave your tummy full, and your body happy. 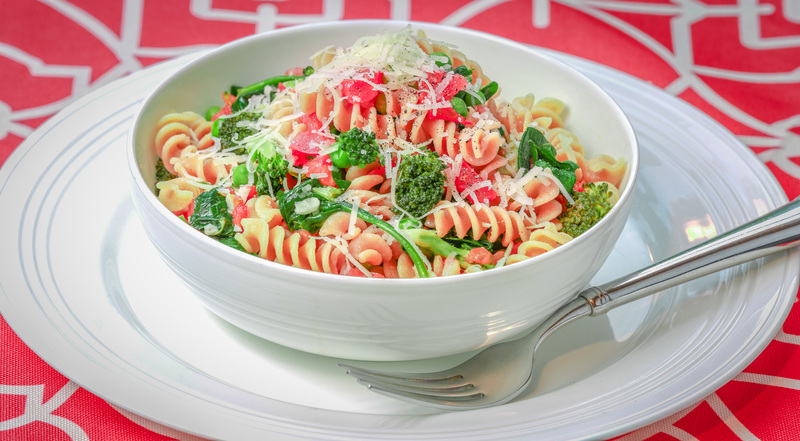 Loaded with fresh broccoli, onions, garlic, broth and spices, pureed together and topped with cheddar cheese. 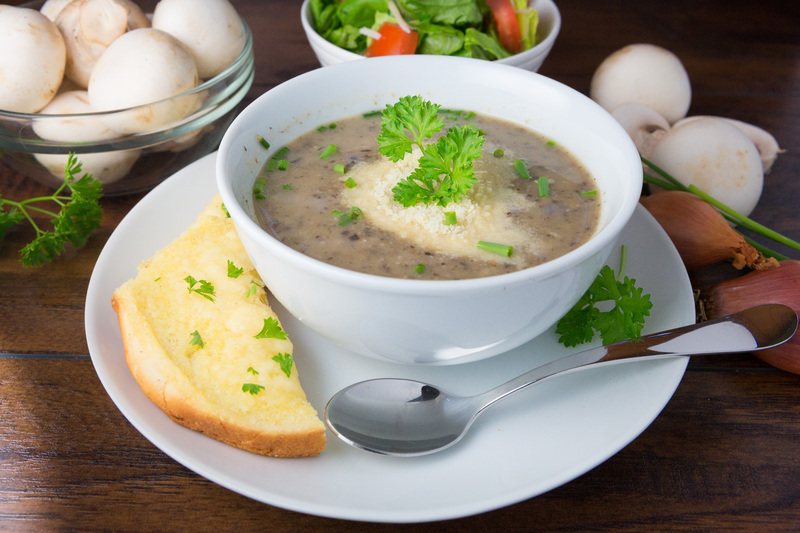 Serve this soup as an appetizer, for lunch, or for dinner with a green salad. 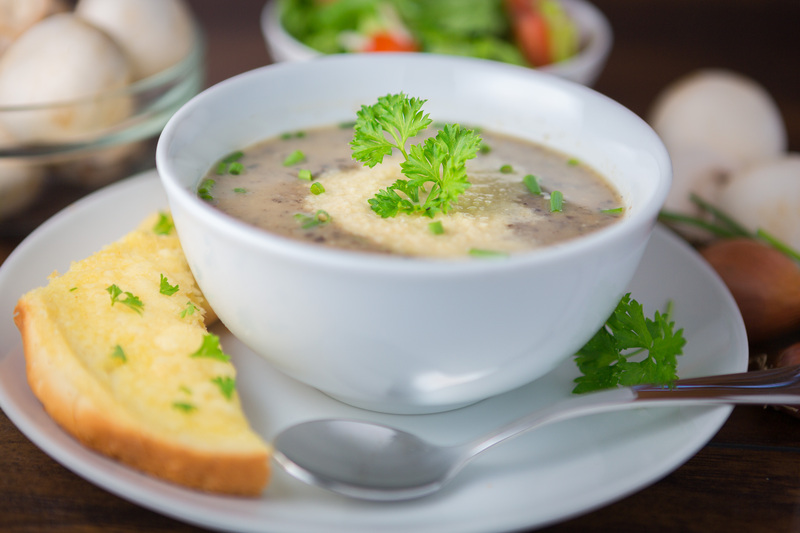 What could be better on a cold winter night than a hearty bowl of creamy (healthy) soup? Well, maybe a huge chocolate cake that was all mine! Kidding! (Make that sort of kidding, I mean I AM pregnant ;)) So, besides a gigantic chocolate treat, there aren’t too many other things that could make for such a perfect meal on a freezing cold night. I first made this soup a few years ago when we were living in Atlanta. I figured I would try to put my own (much healthier and even better tasting) spin on everyone’s favorite Broccoli Cheddar Soup from Panera Bread. I mean who doesn’t love a huge bowl of thick, creamy broccoli soup? 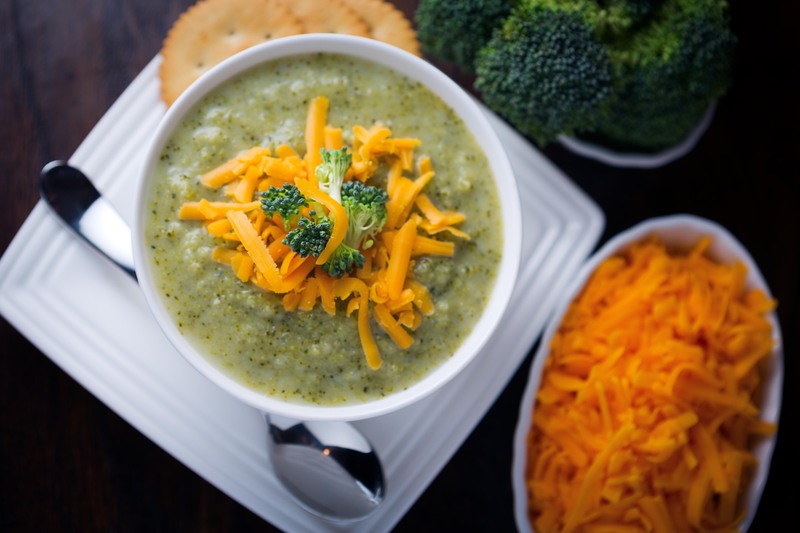 Over the years, I have experimented and tested quite a few variations of a healthy cream of broccoli soup. One time I added spinach, cheddar and parmesan right to the soup and then pureed it. The verdict, tasty, but not it. I wondered if it was worth sautéing the broccoli stalks and trees separately? No, too much work and an unnecessary step. A few times I pureed half of the soup, and left the other half chunky. I thought that having some texture might be a great addition. The verdict, we preferred it creamy. It seems that with this soup, it just worked better to puree it all. So, now you can see a few of the changes that this recipe has gone through in order to become a winner. 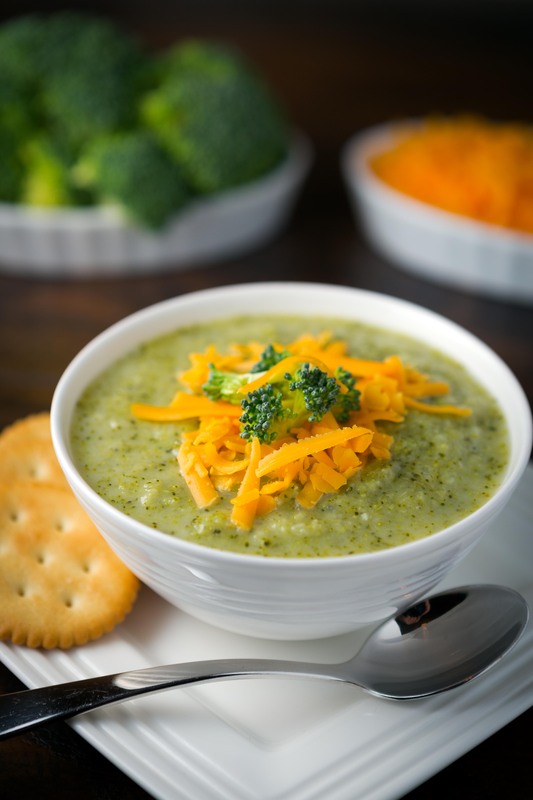 This Low-Fat Cream of Broccoli Soup is fairly simple and easy to make! 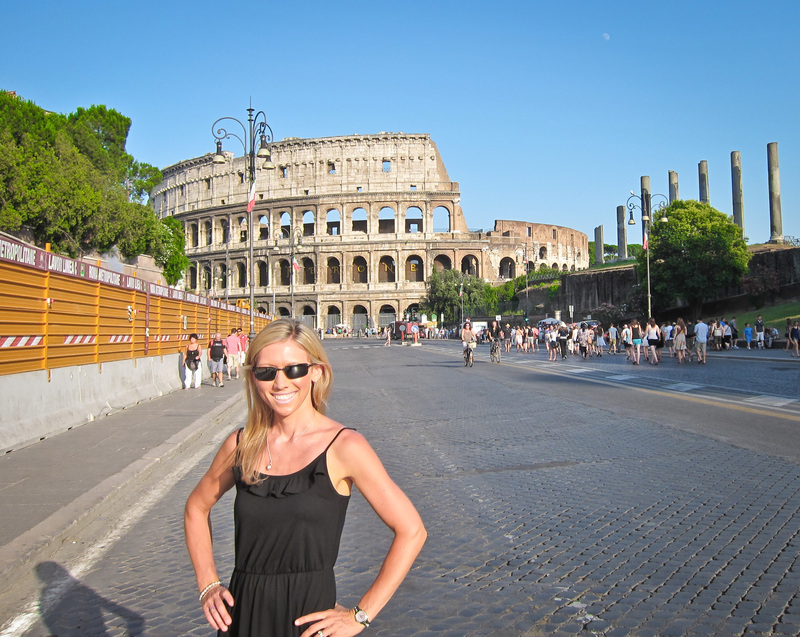 It is filled with vitamins and nutrients AND tastes amazing! This soup also reheats incredibly well, and makes for great leftovers. There is just something so satisfying about creating a great meal one night, and enjoying it again the next. 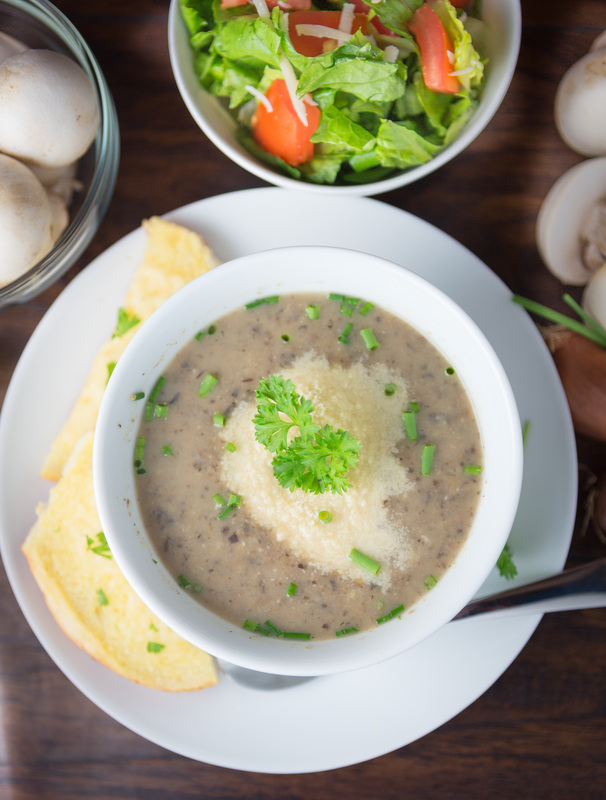 Loved by adults and kids, this creamy soup has quickly become a new favorite around here. Heat oil in a large stock pot over medium-high heat, until shimmering. Add onions and salt, and cook until soft, about 8 to 10 minutes. Stir in garlic and cook until fragrant, about 30 seconds. Whisk in the flour, and cook for 1 minute, stirring constantly. Then whisk in the wine and cook for about 1 to 2 minutes, until absorbed. Whisking continuously, gradually pour in the broth. Add bay leaves, and turn heat to high. Bring broth to a boil, then turn heat down to medium-low, and simmer for about 5 minutes, until broth has thickened slightly. Remove soup from heat, uncover, and let cool slightly for about 10-15 minutes. Remove bay leaves. Wash and dry stock pot, and return pureed soup back to pot. Stir in the half and half, and cook over low heat for about 5 minutes, until soup is hot. Do NOT boil. Season with salt and fresh ground pepper to taste. Serve immediately. Top with cheddar cheese. 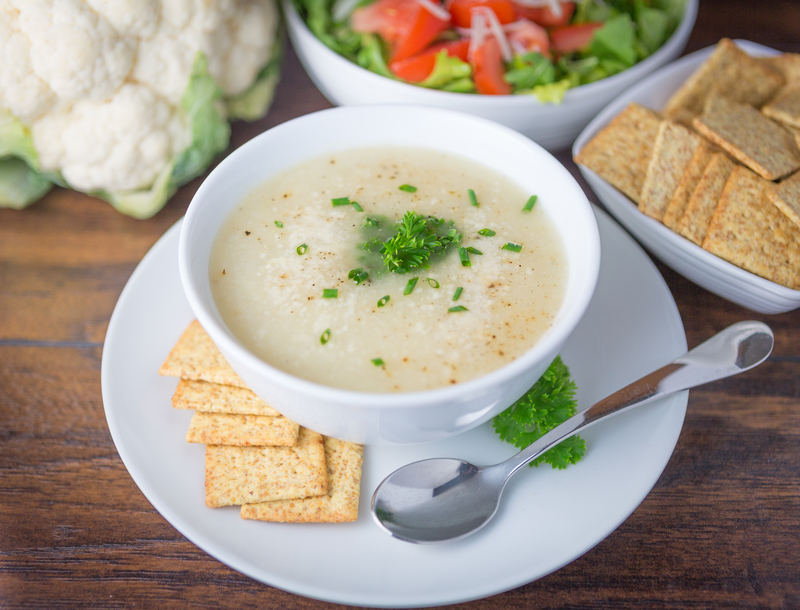 *For an even healthier soup, whole milk may be substituted for the half and half. The soup will not be quite as rich, but the flavors and consistency will remain the same. 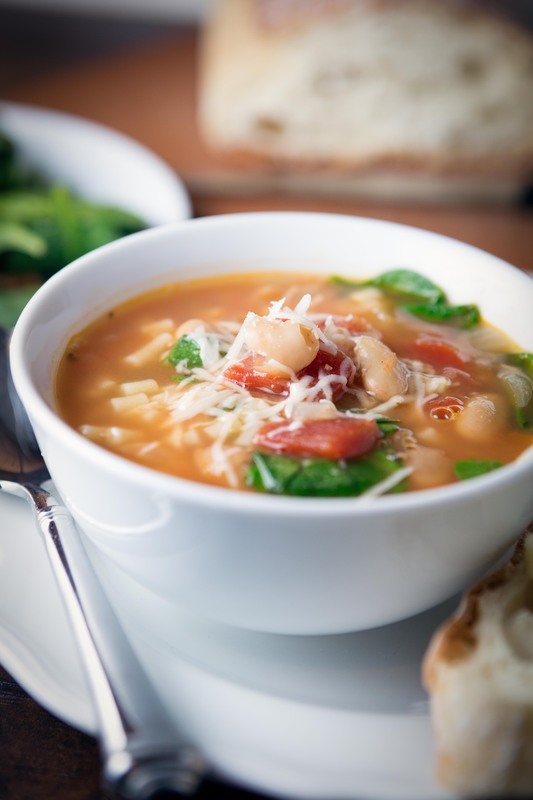 A healthy, hearty soup with white beans, tomatoes, and fresh spinach, topped with shredded parmesan cheese. Serve with crunchy bread and butter and this soup can be a vegetarian meal in itself. 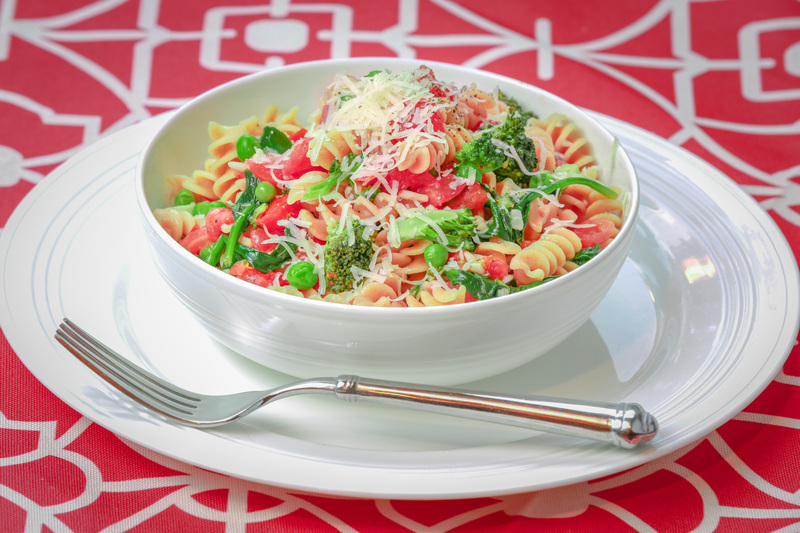 Or, omit the pasta and serve with a side salad and you’ll have the perfect gluten free dinner. There’s just something so delightful about a big bowl of warm, comforting soup that can hit the spot on a chilly night. Speaking of chilly, it is down right freezing here in Michigan again! Is it spring yet? I’m ready for some warm days where we can actually go outside to play for more than five minutes without losing all feeling in our fingers and toes! Well, soon enough I guess. In the meantime, we’ve been staying pretty active around here. The boys and I are having fun attending story time at the library, playing with friends, seeing family, and attending different children’s plays in our area. We’ve been busy with the usual day to day things, too. Especially grocery shopping, and planning fun and exciting additions to our menu. 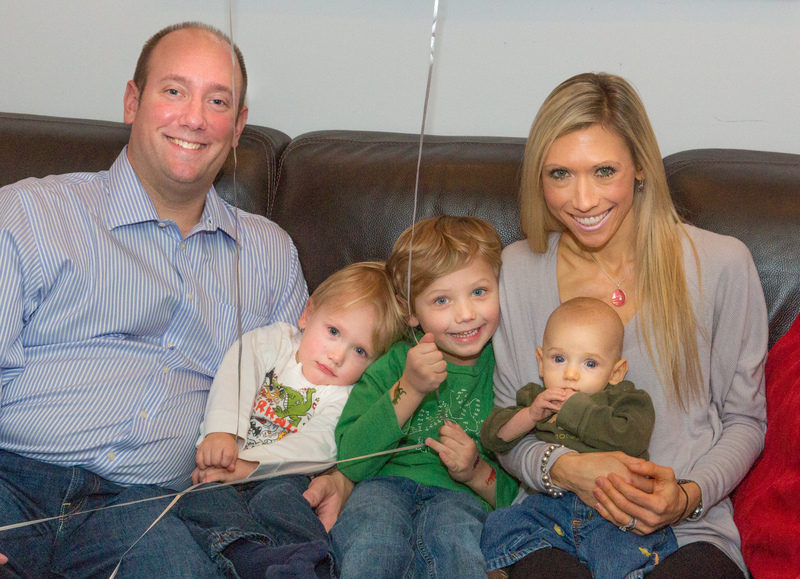 Kicking off our “healthy AND tastes good” recipes, I give you a family-tested and much approved, (yes, even the boys loved it! 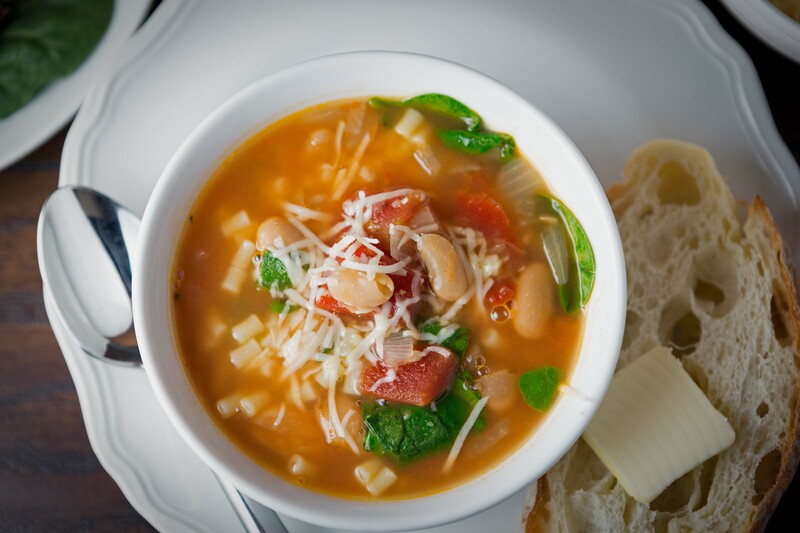 ), White Bean Soup with Tomatoes, Spinach and Pasta. 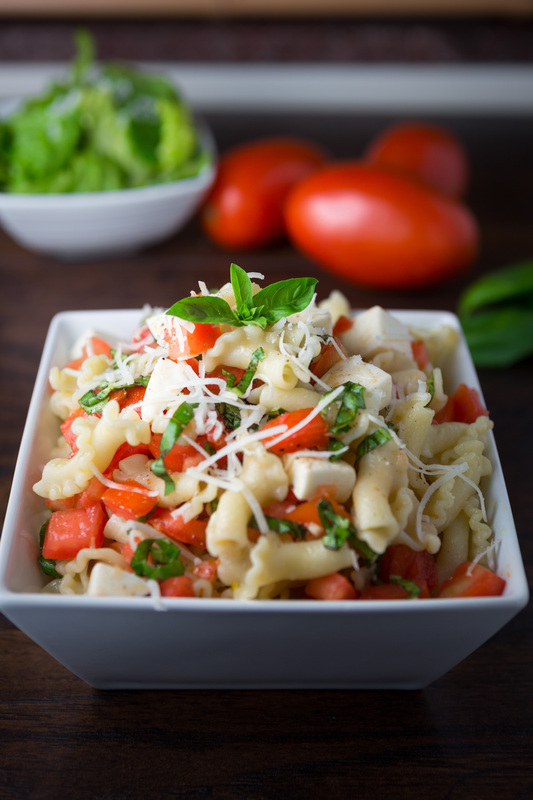 It’s quick, easy, and of course healthy and delicious, too. In a large Dutch oven over medium heat, heat olive oil until shimmering, then add onion and 1/4 teaspoon salt and cook until tender, about 3 minutes, stirring occasionally. Add garlic and stir, cook until fragrant, about 30 seconds. Add beans, tomatoes, broth, basil, and salt and pepper, and stir. Simmer on medium heat for about 30 minutes, until the broth has thickened and reduced a bit, stirring occasionally. Do not boil. Add pasta and cook for about 10 minutes or until pasta is almost tender. 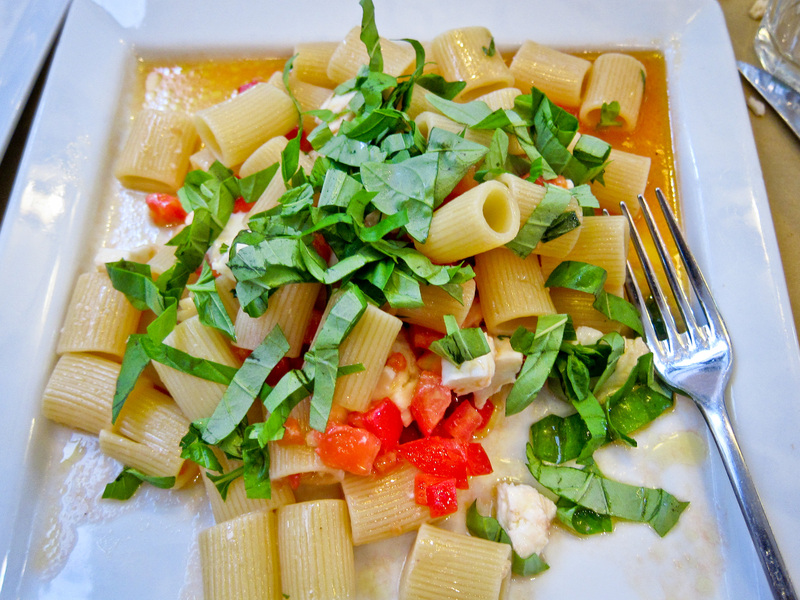 (If omitting pasta, continue cooking for about 10 more minutes). Then add spinach and cook for about 3 minutes or until spinach has wilted. If necessary, add up to 1 cup water. Season with salt and pepper to taste. 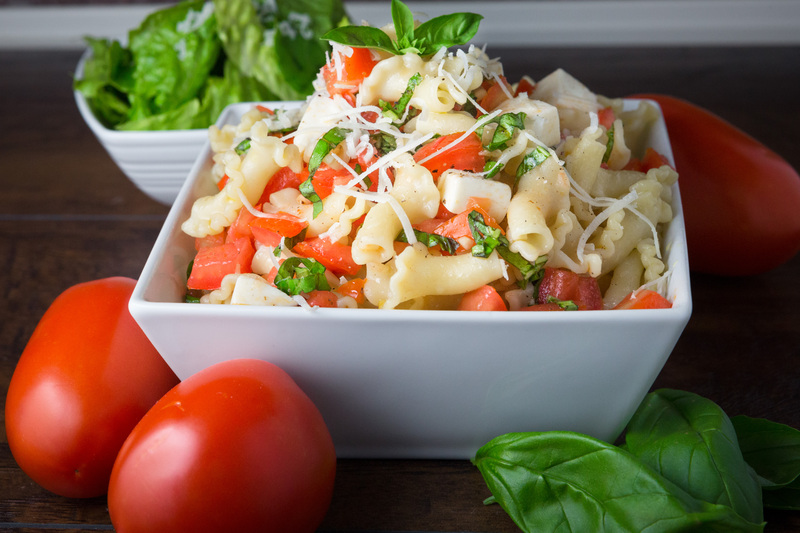 Remove from heat and serve with Parmesan cheese, and crunchy French bread and butter, or a side salad.